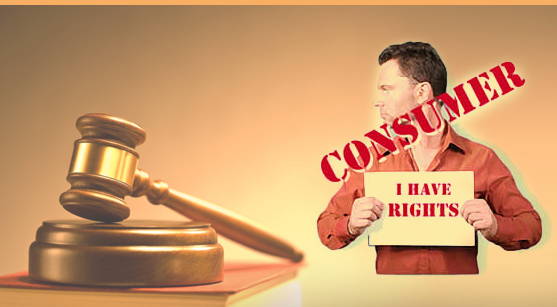 When to go in a consumer court? Consumer courts help in real estate issues such as defects in construction and maintenance, delays in commission, etc. Helps in settling claim issues with medi claim and insurance companies. Builder’s cases are the most popular cases that are handled by the consumer courts these days. It helps in filing case related to mobile companies issue for not providing the receipt or it can be bad service. Helps in handling bad internet service issues. Consumers can file a case related to the food quality issues of a restaurant. A consumer can file a case against any malpractices in goods given by manufacturers, unethical behavior done by the shopkeepers with customer while selling or any unfair trade practices done by a dealer of goods which influence the customer. If there is any fault in the product and the company denies changing the defective product, then also, the consumer has full right to file a complaint against that company or seller. Before filing a case in consumer court, an advocate advises giving appropriate time to the opposite party say around 30 days. If the opposition party gets ready to solve the problems, then complaint can be dissolved, and if they do not respond on the customer grievances, then customer can file a complaint in consumer court. A customer has to arrange all the evidences required at the time of hearing in the court like receipts, cash memos, agreements, warranty card, etc. All these furnished documents need to properly handed over to your advocate so that an advocate can go through once. There are many online forums also available, which help in arranging the documents in sequence. A customer can also fight their case without an advocate i.e. by themselves they can stand in court and fight for their rights they deserve. During filing a case, a consumer should be present on the day of hearing in the court; otherwise, it can have a negative impact on your case. A customer should not sign any bond and should be alert during the whole procedure. How advocate help consumers in filing case in consumer courts? It is not easy to put up a fight against big companies, which have their legal advisors to fight on their behalf. So, it is pertinent to hire an advocate to seek the right advice. With the know-how of legal procedures, he can help in filing your case in court and will also fight your case for you in court against the opposite party. Consumers should fight for their rights and what they deserve, and for consumer support, consumer courts are established.